Shawn Domagal-Goldman, a NASA affiliated scientist, joined with colleagues at Pennsylvania State University to complete a study that warns of possible dire consequences from extra extraterrestrials if they sense how we are destroying the planet. I kid you not; it’s in the report. Humanity may just now be entering the period in which its rapid civilisational expansion could be detected by an ETI [Extra Territorial Intelligence] because our expansion is changing the composition of the Earth’s atmosphere, via greenhouse gas emissions,” the report states. “Green” aliens might object to the environmental damage humans have caused on Earth and wipe us out to save the planet. “These scenarios give us reason to limit our growth and reduce our impact on global ecosystems. It would be particularly important for us to limit our emissions of greenhouse gases, since atmospheric composition can be observed from other planets,” the authors write. Are there any sane scientists left or have they all gone Gore? If I ever become dictator of the United States, my first act will be to require all power to be delivered below the surface. 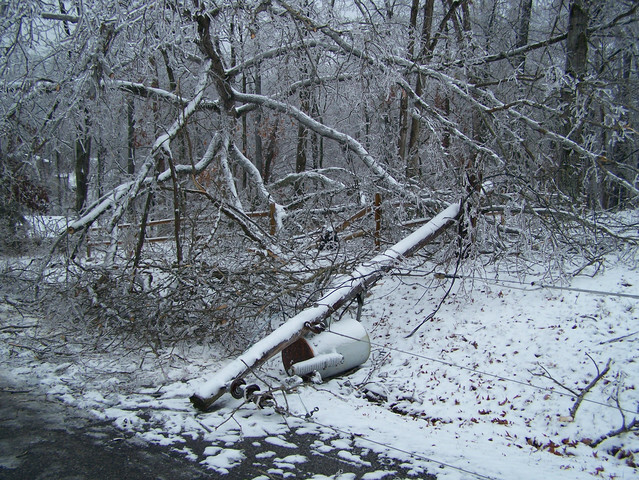 There will be no more ugly telephone poles with wires strung on them and no more power outages from fallen trees. The edict will be “Down with the poles and Up with underground wiring. Signed – Bob B, DIC (Dictator-In-Chief). 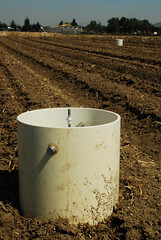 When the power goes out, the heat goes out and the water too if you have your own well. The internet goes, of course. We got hit. Power is back and so is Random Thots.org. Last winter, record low temperatures were recorded throughout Europe. Britain had the longest continuous cold period since 1981 and the coldest winter in 30 years. This winter has hardly begun, but so far it is colder than last, and with more snow to boot. Temperatures worldwide are declining faster than Al Gore’s speaking fees. This year, Atlanta had its first Christmas snow since 1882; Columbia, S.C. had their fist since 1887. Record lows were recorded in Florida last winter. Stock up on orange juice. It could get expensive. Most stupid statement ever uttered. “[Unemployment compensation] creates jobs faster than almost any other initiative you can name.” Sure, and the quickest way to dry your clothes is to put them out in the rain. Play the video. Her appeal is pathetic. The only thing that can be learned from it is how little regard some Politicians (D) Any State, have for the intelligence of their constituents. As Monty Python would say, now for something completely different. Hmmm…John Edwards, Bill Clinton, Eliot Spitzer, Jack Kennedy and now Al Gore. Why is it the Democrats have all the fun while the best a Republican can do is tap his foot on a men’s room floor? Tipper and Al’s net worth grew from an estimated one million in the year 2000 to an estimated one hundred million 10 years later according to the Washington Examiner. Al Gore has parlayed politics and his zeal for talking about global warming into an Academy Award, a Grammy and the Noble Peace Prize in 2007. He is a co-founder of Current TV, brings in six figures for speaking gigs, is a member of the Board of Directors at Apple, Inc. and serves as a senior adviser to Google. From 1 to 100 in 10 years and still going, six figures for a global warming speech, and no jail time – makes Bernie Madoff look like a piker. Mr. Gore has a habit of barring the press from his speeches. Google “Gore bars press” and “Gore limits press” for more instances of avoidance of press coverage. He also does not take questions or limits questions to 3 or 4 chosen from pre-submitted cards. On at least one occasion he required the press to leave the room after the first 5 minutes of his talk. He was very vocal when Exxon Mobil’s ship ran aground in Alaska. He has been uncharacteristically silent on the BP disaster. Rumors are rife as to the reason. It does beg the question, why, when Mr. Gore has stood for banning offshore drilling and said: “For me, this issue is not only an economic issue and a health issue, it is also a moral issue,” For some reason the same morals do not seem to extend to the shorelines of our Gulf states. 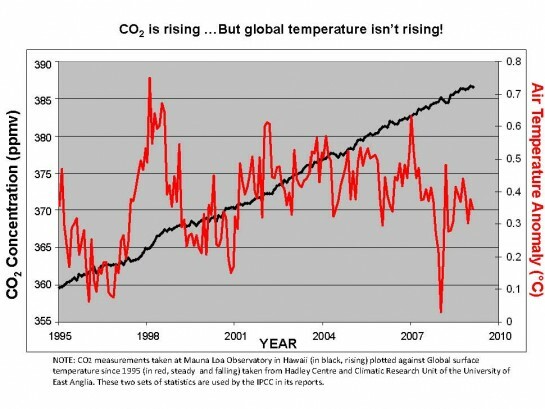 If you were to smooth the red temperature line on the chart by drawing a regression (best fit) line back to 1998 the chart would look like an X, with CO2 rising and temperatures declining. Gore clings to the claim temperature are rising and CO2 is the cause. He is wrong on both counts. Here is a video of troops rapelling from a helicopter to the deck. Sheikh Sa’id al-Masri, a.k.a. Mustafa al-Yazid reduced to dustArab world announces that al-Qaeda’s #3 leader’s death, confirming that this tiime he has really gone to his virgins. Poor Al. His home state cast their votes for Bush and cost him the election, the global warming business is faltering, Bill Clinton is ridiculing him, now Tipper is leaving the sinking ship. Speaking of ships, I wonder who is getting the house boat. Former Colorado House Speaker Andrew Romanoff says he was bribed with a job offer if he would not run for office. Obama goes to Pittsburgh to give a big speech and only the mayor shows up to greet him. That’s good news for makers of candles and bicycles. The deaths of Natalee Holloway and now Stephany Flores are not the only issues van der Sloot has had with the law. He made a deal to reveal the location of Natalee’s body and pocketed the $15,000 down payment. This guy is pure slime. Paul McCartney gushes over Obama and bashes bush. Video here. If you are planning a canoe trip up North this year, perhaps to the Bering Sea, you no longer need to fear the consequences of an inadvertent paddle across the line in the water that marks the Russian border. We are on the same side now. But the campsite you used last year may no longer be reachable by water. According to this report, ice coverage is increasing in the Arctic. That raises concern for the polar bears who now have to waddle farther to get to the water where the seals are. Where is PETA when you need them? Al Gore preached another warming sermon on April 8th but we don’t know if he addressed the polar bear issue because he disallowed press coverage except for the first 5 minutes. And he wouldn’t take questions from the floor, only by previously submitted cards so the inconvenient ones could be screened out. Global temperatures have not risen past their peak established in 1998, twelve years ago. The solution to that problem was to change the mantra from “global warming” to “climate change”. Now we need to give more control to the government so they can combat climate change. Autumn colors are an extravagance the planet can no longer afford. Poor Al, central to his case was the frightening hockey stick graph with the handle representing the world up until now, and the upward pointing end that whacks the puck representing the suffering we would endure when it hit us. Unfortunately, it turned out to be the concoction of some fraudulent scientists. Record cold temperatures were recorded across the nation last winter and it snowed in Bagdad. So you can’t blame the former Vice President for being nervous. With warming cooling he is feeling the heat. His very raison d’etre is slipping away. His income is in jeopardy. He lost his job with the government. His old Buddy Bill of Clinton fame has accused him of citing the advent of Spring as proof of global warming. That must have hurt. But he won’t go homeless. 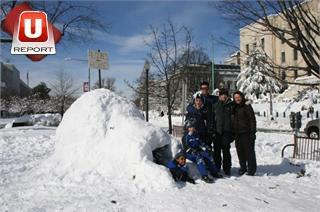 I am sure some Senator will be glad to build an igloo for him. Tell your friends about Random Thots.